This is the best educated generation in this country's history. They have done all the right things. They've gone to school. They got good marks, did volunteer work to fill out their resumes and in return students and their families are drowning in sky-rocketing debt. And yet, it seems the best our economy can offer them is precarious work marked by contract jobs, low wages, uncertain shifts and no benefits. It was cold. It was rainy. It was a weekend, a time most people look forward to spending with family. Despite all that, residents and workers from across Ontario -- including a large number of Unifor activists -- boarded buses and went to Toronto to let our elected representatives know that we expect real labour reform and change in Ontario to combat the scourge of precarious work that makes life so difficult for so many, including the younger generation of workers. This is the best educated generation in this country's history. They have done all the right things. They've gone to school. They got good marks, did volunteer work to fill out their resumes and in return students and their families are drowning in sky-rocketing debt. And yet, it seems the best our economy can offer them is precarious work marked by contract jobs, low wages, uncertain shifts and no benefits. Too many of our young people, and an increasing number of older workers, find themselves forced to stitch together part-time jobs just to get by. That's just not good enough. We must use whatever influence and levers we have at our disposal to push for the change we know needs to happen to make life better. Last Saturday's rally on the grounds of the Ontario Legislature, organized by the Ontario Federation of Labour, saw dozens of unions and community groups come together to demand an end to precarious work, an immediate $15 minimum wage and change to labour laws to offer paid sick days and to make it easier for workers to join a union. It was fantastic to see such a diverse group of workers of all ages united on this issue. We came to the issue from differing workplaces, from the public and private sector, from trades and white collar work, from unions and as freelancers and from organizations reflecting the rich cultural diversity of this country, united in our call for change. Just as we come to the issue from diverse places, we must all continue to work against precarious work from whatever angle we can. We just can't be idle and wait for politicians to do the right thing. We must use whatever influence and levers we have at our disposal to push for the change we know needs to happen to make life better. That's why Unifor has made fighting back against precarious work a priority in both our organizing and bargaining efforts. 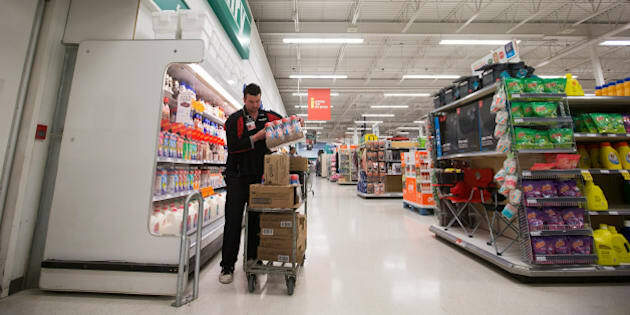 As one of Canada's largest unions in the retail sector, an industry known for the precarious nature of much of its work, Unifor has negotiated contracts that improve wages and give workers more predictable schedules. Our contract at 28 Metro grocery stores across the Toronto area last year, for example, saw some wages jump by as much as 21 per cent, and gave part-time workers a guaranteed minimum number of hours per week after one year of service. Bargaining contracts like that shows the value of unions in improving the lives of workers and their families. That's why Unifor has continued through our organizing efforts to expand our presence in the retail sector, and pushed for legislative changes across Canada to make it easier for more workers to join unions and improve their lives. It is also why it is so disappointing that the federal Liberals voted last week to defeat a private member's bill outlawing the use of scab labour in legal strikes and lockouts. Using scabs gives employers an unfair advantage during a work stoppage, it prolongs strikes and can strengthen the ability of employers to force workers to accept bad contracts. The imbalance in power with the employer is a recipe for more precarious work, which is why Unifor and other labour unions and workers' action groups are committed to seeing anti-scab legislation across Canada. As important as it is that we fight for legislative change, however, there is much more that labour unions can do. It is at least as important to fight to keep the good jobs we already have in our communities. That's what Unifor is doing right now in our contract negotiations with the Detroit Three automakers. Our recent bargaining with General Motors secured a total of $554 million in investments from the company. That money will keep the operations going in Oshawa, ensuring good jobs for that community well into the future. The investment will also go towards St. Catharines and Woodstock -- including the shifting of some engine production back to Canada -- ensuring even more good jobs are secured well into the future. As well, 700 temporary workers at GM will now become permanent full-time workers. This kind of effort, achieved through our collective bargaining power, is also vital to pushing back the precariousness of work today. The more unions can use their bargaining power to secure good jobs, the less prevalent will precarious jobs be in our communities and among young people. To push back against precarious work, we must all fight on many fronts -- for legislative change, at the bargaining table and by organizing more workers so they too can have the security and defense offered only by a union. With such a concerted effort, together we can make precarious work a thing of the past, and build a society in which young people can build a future for themselves and their communities.